Nyali MP Hezron Awiti dumps senator Omar Hassan to Governor Hassan Johos' Camp. - Bana Kenya News, Real African Network Tubanane. Home featured Mombasa Nyali MP Hezron Awiti dumps senator Omar Hassan to Governor Hassan Johos' Camp. Nyali MP Hezron Awiti dumps senator Omar Hassan to Governor Hassan Johos' Camp. 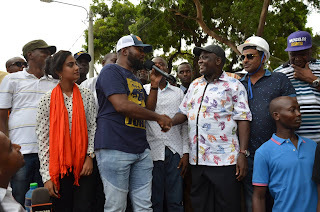 The Mombasa Governor joins hand with the Nyali MP Hezron Awiti at his Constituency when they opened the New Nyali links road. 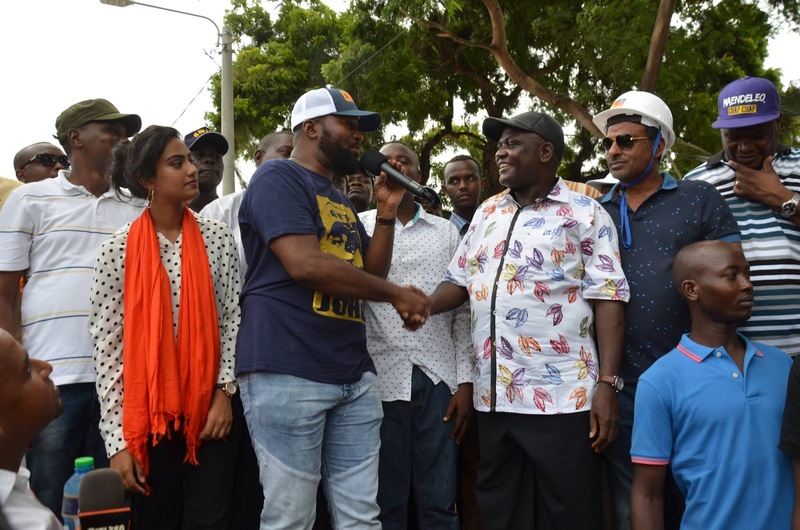 Hezron Awiti said he will work with Governor Joho in the coming elections. The Nyali MP resigned the treasury post in the wiper and walked away. 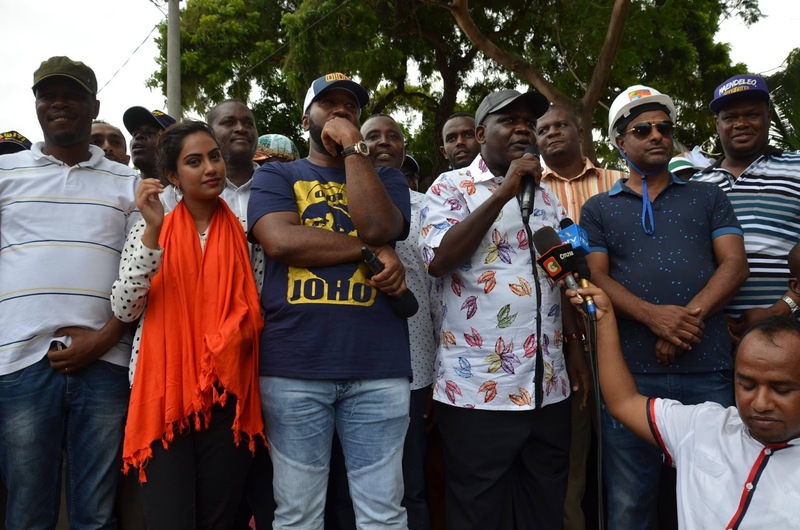 According to sources, he has been seen in Hassan Joho's' camps several times indicating that the ties between him and the senator Omar Hassan were broken. Omar Hassan has remained alone in fighting for the gubernatorial position from the wiper. The Hassans' popularity has dropped down by 5 Percent and people moved to the Governor's camp. Hezron Awiti who is famously known as "Jobojobo Bolo" was the first Hassan Joho critic in terms of developments. Joining the Governor Joho Camp show they have levelled their differences. The Nyali seat is contested by approximately six aspirants including Bayuf grandson Ashraf KTN journalist Mohammed Ali, former Mayor and Frere town councillor John Mucharo and an Indian businessman Agarwal Sanjeev. The incumbent MP has no chance in getting back his seat if he decides to secure it.